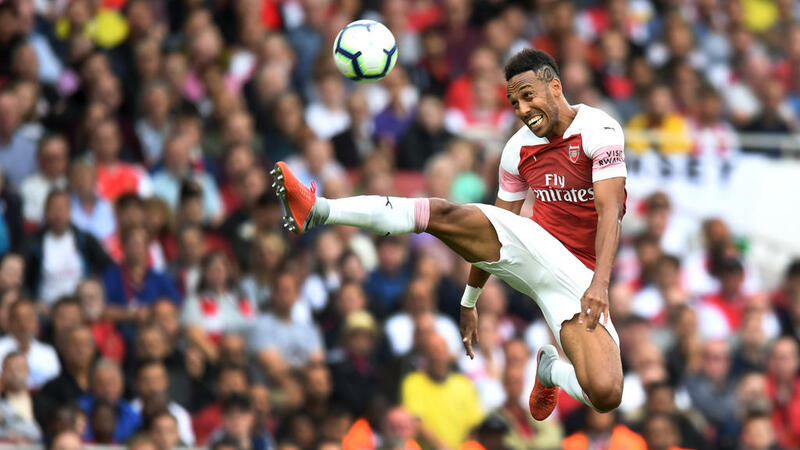 Unai Emery is set to unleash Alexandre Lacazette and Pierre-Emerick Aubameyang at Newcastle on Saturday as the Arsenal manager looks to maintain his side's free-scoring revival. The Premier League season may be only a few weeks old, but Emery is beginning to get his feet under the table at the Emirates Stadium after succeeding Arsene Wenger. The Gunners began with defeats against Manchester City and Chelsea before getting the better of West Ham and then Cardiff. The first two fixtures saw Emery begin with Gabon star Aubameyang as his starting striker and French forward Lacazette come on in the second half, at the expense of a midfielder. It was a similar story against West Ham in Arsenal's third match. Lacazette came on for Alex Iwobi at half-time but with a much more tangible result: Arsenal looked far more potent with the Frenchman on the pitch and went on to seal a 3-1 victory -- Emery's first as Gunners boss. Both forwards started in the 3-2 win at Cardiff before the international break, forming a lively double act to grab their first goals of the season. Lacazette's 81st-minute strike proved decisive in Arsenal's second victory under Emery. So will the pair continue at St James' Park on Saturday? Emery, who played Lacazette as the main striker and pushed Aubameyang to the left at Cardiff, is unlikely to go fully retro with a 4-4-2 formation but gave no indication that he intended to bench one of his superstar forwards. "I am very happy with the last two victories in the Premier League and also with the performances," he said when asked if both might start. "I want to push every player to be okay to help the team if for one minute, 30 minutes or half time or 90 minutes." A fully-functioning Lacazette-Aubameyang partnership is clearly bad news for Danny Welbeck though. The former Manchester United striker is one of an increasing number of England internationals whose minutes on the pitch at club level are diminishing alarmingly. Welbeck came off the bench for the final 25 minutes against West Ham and scored a game-clinching third goal but was rewarded with just the last six minutes at Cardiff. He can't have enjoyed his international break too much either. First Welbeck saw a goal in Saturday's home loss to Spain harshly ruled out in stoppage time just seconds after coming on. Welbeck followed that up with a lacklustre first hour as a starter in the 1-0 friendly win over Switzerland on Tuesday and knows he will be back on the bench at best once again this weekend. Newcastle manager Rafa Benitez has rather different problems going into the Arsenal match, but insists there is no need to panic despite a winless start that has deposited the Magpies in the relegation zone. Just a single point has been garnered from four Premier League games in addition to a League Cup exit against second tier Nottingham Forest, but the Spaniard is remaining calm ahead of the Gunners' visit. "When the fixtures came out the reality was that we knew they were very difficult and that our start could be something like this," he said.